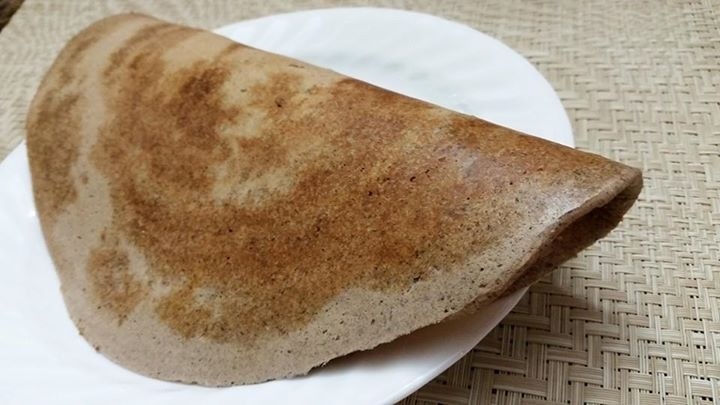 Buckwheat/Kuttu a pseudo grain, is actually a fruit seed making it a suitable substitute for those who are gluten intolerant. Rich in iron & magnesium, it is also a good source of fibre and antioxidants. Wash n soak in water 1 cup udad dal overnight. Next day drain and grind into a smooth paste. 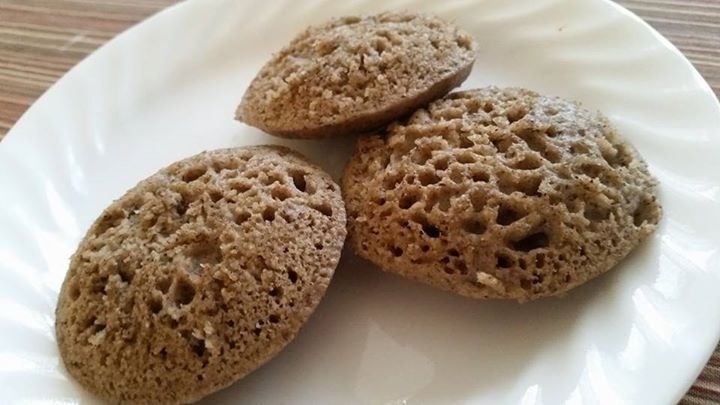 Mix 2 cups Kuttu ka atta. And stir to mix. You might need to add water to thin it out a little. Add salt to taste, cover and leave to ferment overnight. 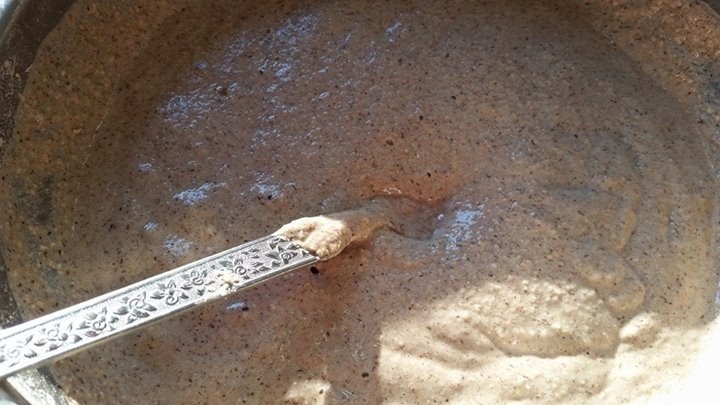 By next day, the batter will ferment and become frothy. It is now ready to use. 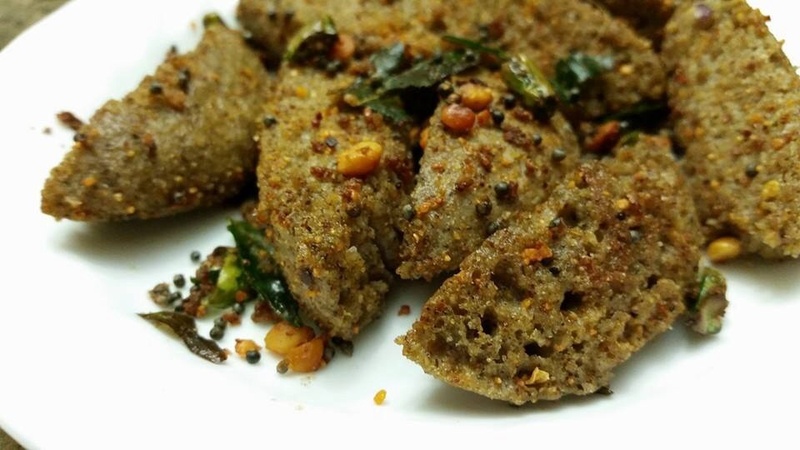 You can make either Idli or Dosa from the same batter. 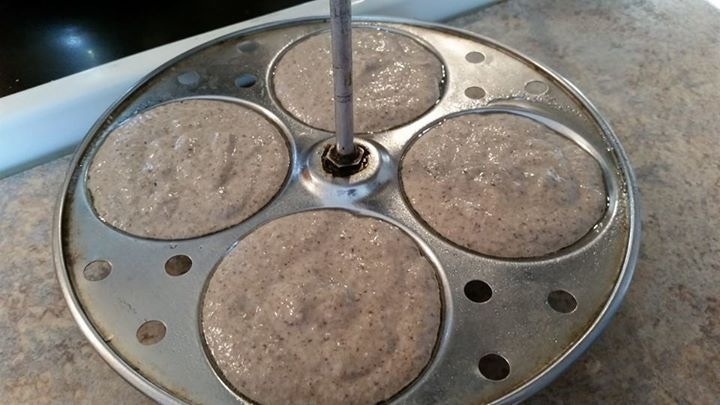 Ladle batter onto greased moulds and steam for 6 minutes. 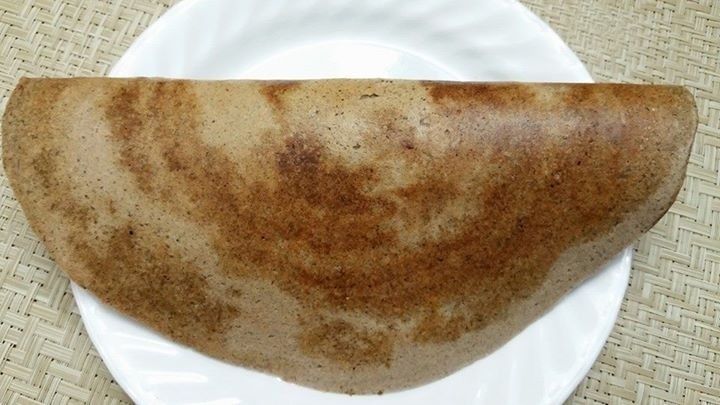 As they are made of buckwheat, they have the intrinsic taste of Kuttu. So we preferred them with a chaunk of rai, curry leaves and Gunpowder. Alternatively you can also enjoy them with sambhar and chutney! 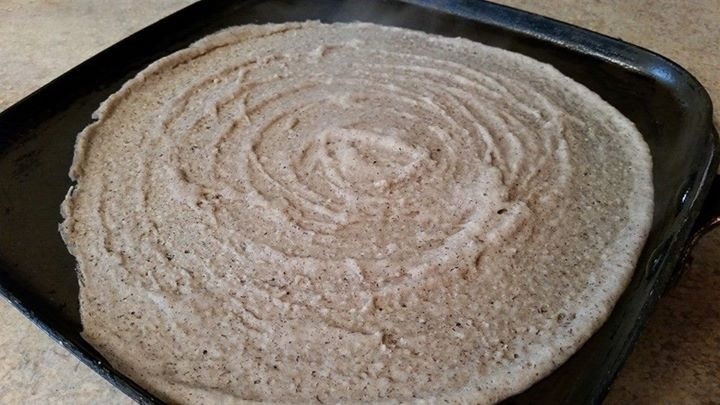 Spread batter on non-stick Tawa. 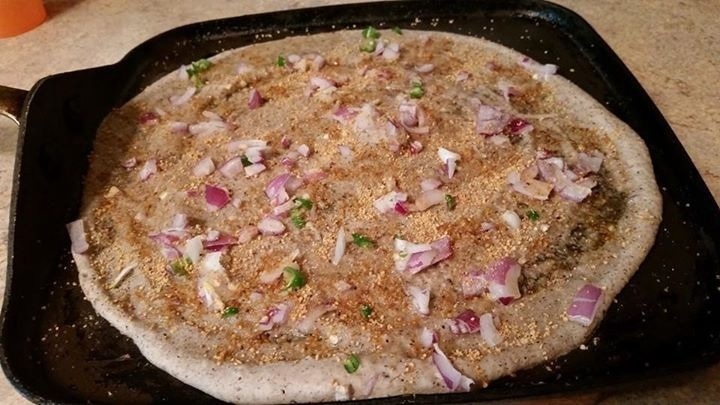 Cook on medium high…till desired level of crispness is reached…roll and serve with sambhar and chutney!